Popcorn is pretty much a staple snack at our house. It’s really easy and quick to make, and if you air pop it from kernels, it’s even healthy too. (Although the stuff in the bag is so, so yummy!) There are all kinds of new and different popcorn out there, and you’ve probably tried a few of them. 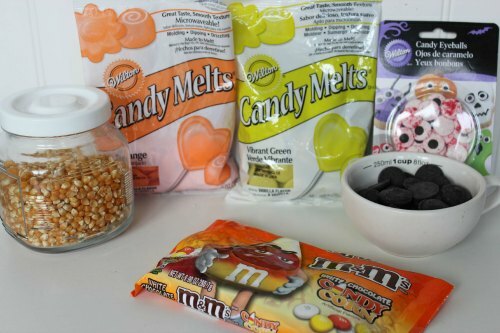 But I’ve got a new one I bet you haven’t tried before: Halloween Popcorn. 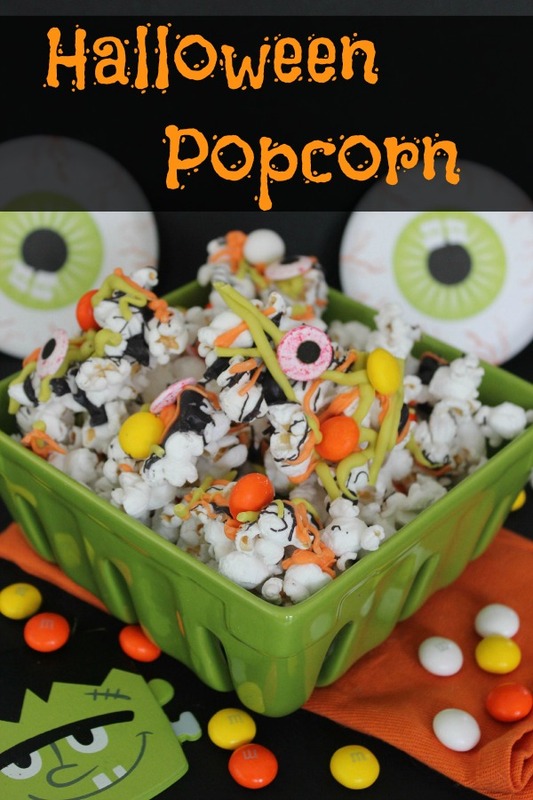 Whether you are looking for a snack to bring in for your child’s Halloween party at school or you simply want to make a fun after-school snack for your kids to enjoy at home, this Halloween Popcorn is sure to be a hit. 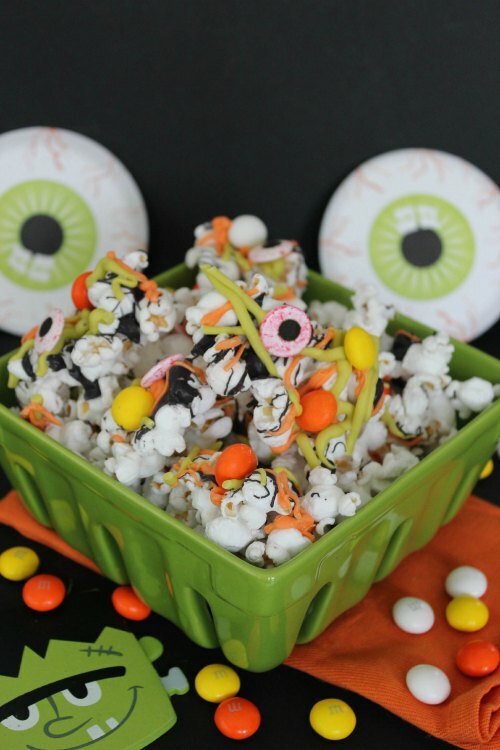 Between the fun Halloween colors, the yummy candy corn and the spooky eyeballs, this Halloween Popcorn is one you won’t be able to get enough of. Plus, it’s even easy to make, which is always a huge plus! Just spread the popcorn out, melt the melting chips, and drizzle all of the ingredients. 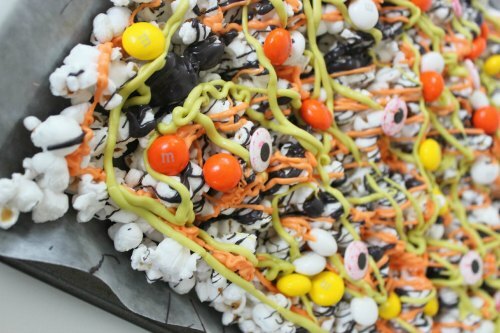 Have your children help you make this; they will love putting the spooky eyeballs on! While it is unlikely that you will have any of this fun Halloween Popcorn left-over, make sure you do store it in an air-tight container if you do try to save it. Popcorn doesn’t typically store well. 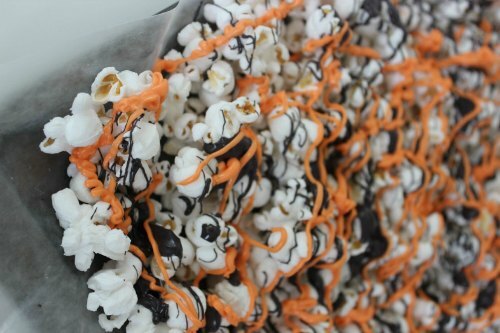 Though with this Halloween Popcorn recipe, we never have any left over to save–it’s that yummy! You should try it! My kids would love this. I would love it if you would share this great post today at our WIW Linky Party. I hope you can join us!